Photocopy of your valid US passport, showing name, birth date, passport number, and expiration date. A financial statement from the company financing, the travel confirming a minimum amount of USD $2000.00 that would cover all expenses while in Equatorial Guinea. 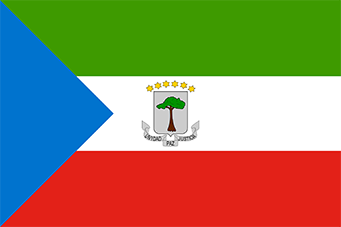 If the applicant is to stay more than ninety days, the applicant must obtain a permit from the National Police Bureau in Malabo or Bata and prove sufficient funds for that term, or submit an employment contract that will guarantee the applicants expenses while in Equatorial Guinea. Your application will be checked and hand carried to the Embassy, and is usually processed in 3 business days.